Keeping my skin soft and supple is high on my list of priorities all year long. Of course, that mission faces serious challenges as the weather turns cool which means I have to pack my daily rituals with products that work really hard for me. This year I’ve partnered with Dove to say #ByeToDry with Dove Dry Oil Moisture Body Wash and Beauty Bar. These two gems are infused with Moroccan Argan Oil and elevate my cleansing routine to a spa-like experience every day. All I do is add my favorite candle and some soft music and I’m instantly transported to a tropical oasis. 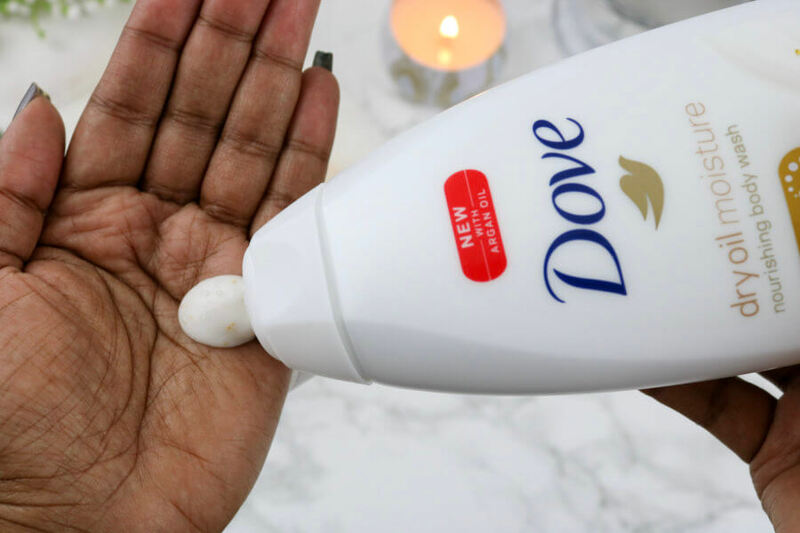 Rich, creamy and deliciously scented, Dove Dry Oil Moisture Body Wash is loaded with nourishing ingredients that work to maintain and replenish my skin’s natural nutrients. It’s not surprising that 9 in 10 women are concerned about having dry skin and I’m clearly one of them. I also count myself among the 7 in 10 women who agree that having dry skin affects their confidence. It’s true! I feel so much better about my day when I’ve done something to take care of myself, no matter how big or small. Having touchably soft skin all over is a major confidence booster for me. As a girl with sensitive skin, I am very particular when choosing a cleanser. I need a cleanser that removes all traces of makeup and dirt but does so gently without stripping my skin. 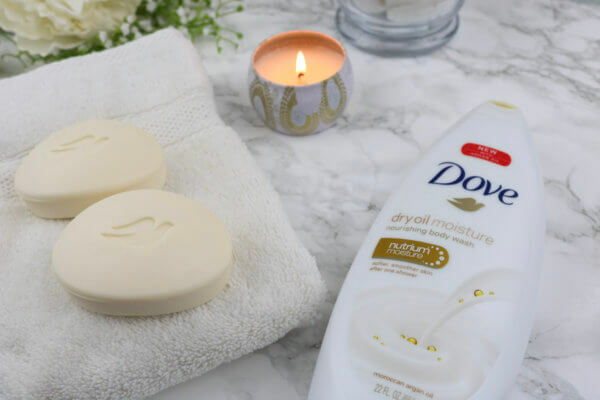 Packed with 1/4 moisturizing cream and Moroccan Argan Oil, I use the Dove Dry Oil Beauty Bar as part of my evening ritual and I love that it leaves my skin feeling super soft and nourished. 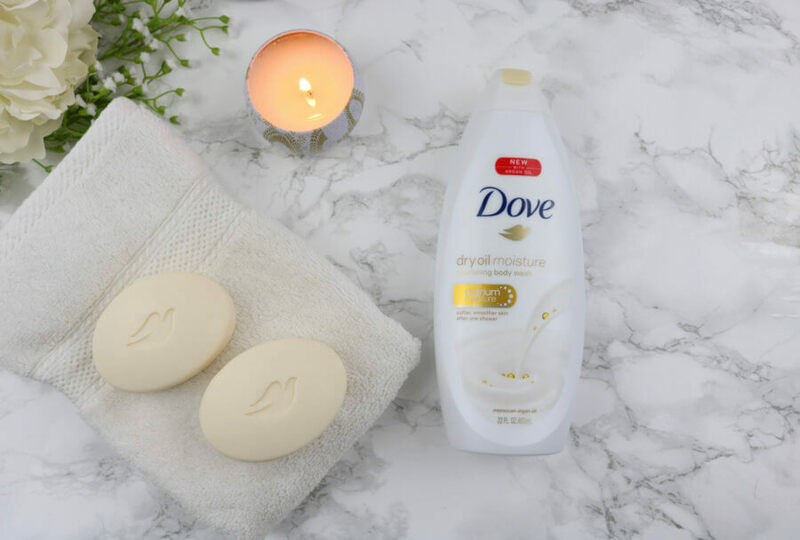 The Dove Dry Oil Moisture Body Wash and Beauty Bar are part of the Dove Dry Oil Collection which features soothing, warm notes that help transform your everyday shower experience into a lovely, exotic escape. How are you planning to say #ByeToDry and keep your skin soft and nourished this season? For more information on the Dove Dry Oil Collection, visit Dove.com and follow Dove on Instagram, Twitter and Facebook. This is a sponsored conversation written by me on behalf of Dove and The bLink Marketing Network. The opinions and text are all mine. I love Dove products and use several of them! These shower body washes are wonderful and really add extra moisture! 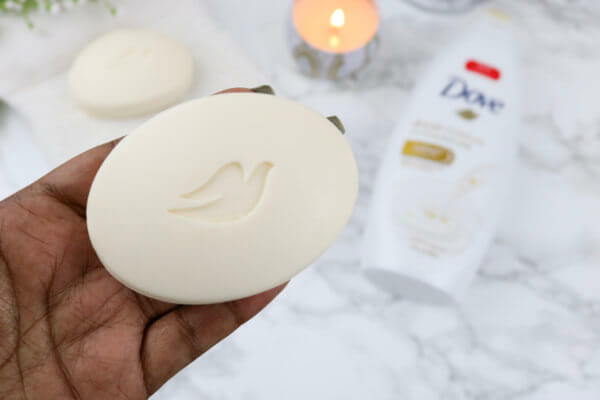 Dove was my grandmother’s go-to soap and I’m using it now. Great product. I love Dove products. I have sensitive skin and it’s one of the few brands that does not irritate or hurt my skin. Of all their products, their bath washes are my favorite. I love Dove products! I think I would love to try the dry beauty bar and body wash for myself! Thank you for sharing! Do you know if there are any harmful ingredients in Dove products?